Chauffeur services in Ireland based at Dublin Airport. We operate a fleet of new model vehicles licensed and insured as limousines. Our drivers have all been with us an average of 10 years and adhere to professional standards you would expect from an esteemed chauffeur company. 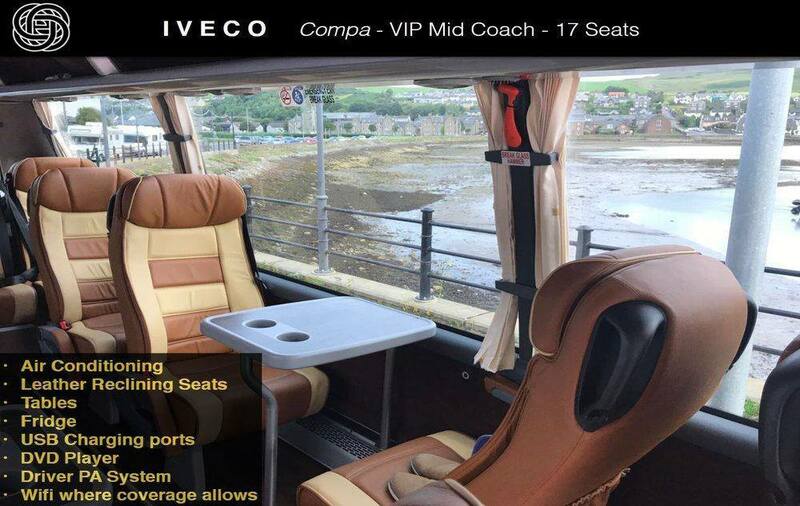 At present we have a range of chauffeur vehicles and VIP Mini Coaches. 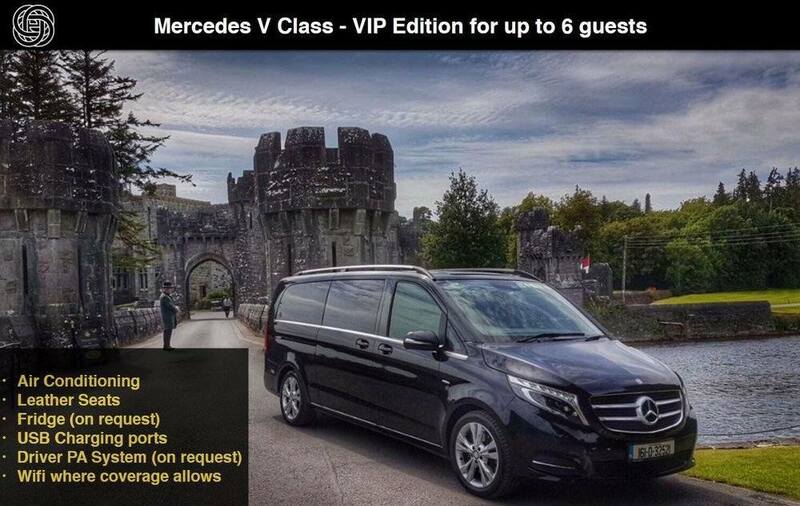 The Mercedes V Class or Viano as it was known till recently is the best people carrier MPV (Multiple Person Vehicle) option. This one is a beauty. 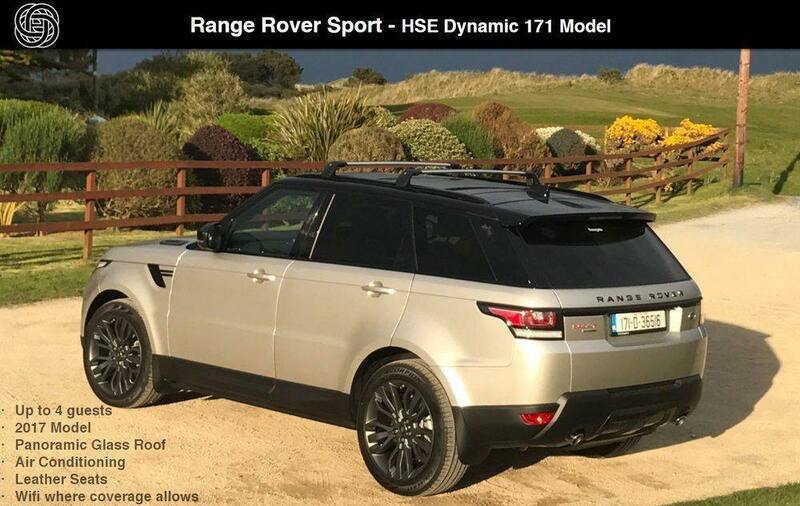 With a panoramic glass roof and Land Rovers HSE Dynamic styling, this model is a one of a kind. Whether you need the power or 4x4 or the style of this luxurious brand - Our Range Rover Sport will create a lasting impression for your chauffeur requirements. The Tesla Model X is the first of its kind to be licensed as a limousine in Ireland. This 100% Electric Vehicle EV is a unique addition to our fleet and our plans is to introduce additional EVs to our fleet over the coming years. With 'falcon doors' and the performance of a supercar this luxury electric vehicle will turn heads and create a wow factor entrance. Our E220 AMG is a classic Mercedes chauffeur vehicle. Ideally suited for airport transfers and executive chauffeur services. You can't really compare this vehicle to another mini bus. We customized the entire interior to replicate the airplane business and first class seating. 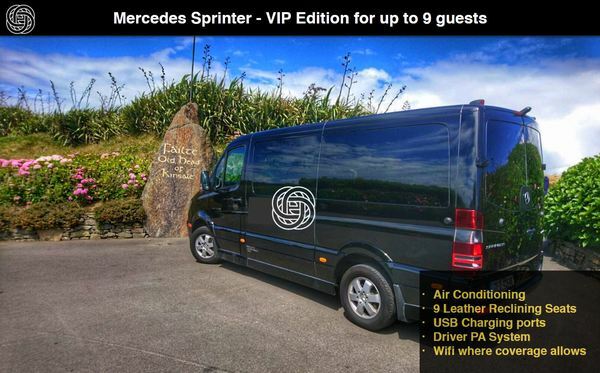 When you are looking for a special VIP mini bus this is perfect for up to 9 guests. 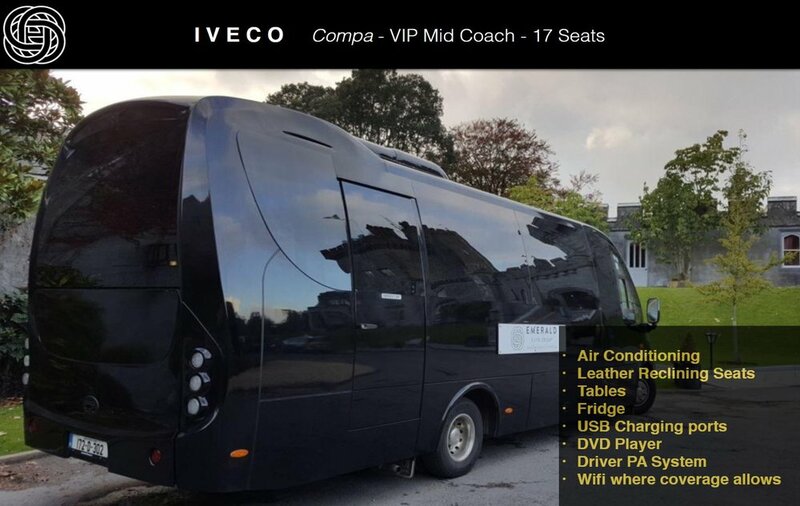 Whether you are looking for a party bus, executive transportation or a luxury vehicle to take golfers in comfort to the course - The IVECO is the perfect option for up to 17 guests. 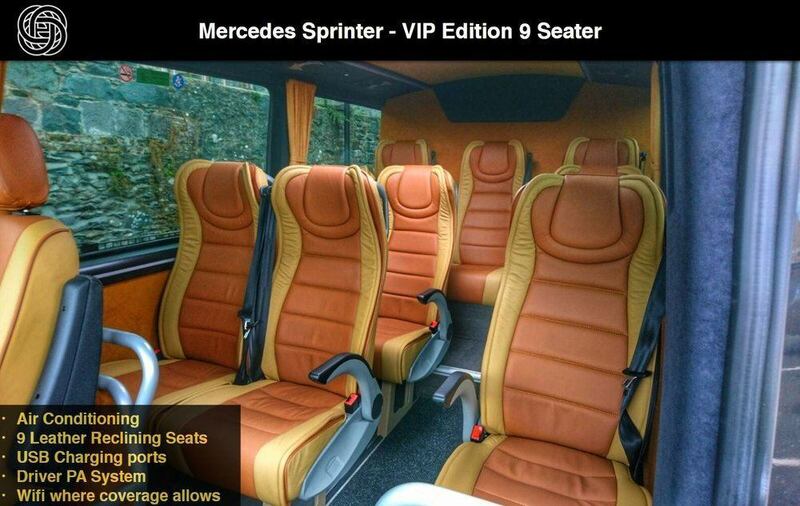 The interior is fitted comparable to a private jet with first class 'captain seats'.